Temperatures are once again headed to near record highs today in parts of southern California as strong high pressure continues to linger over the region. 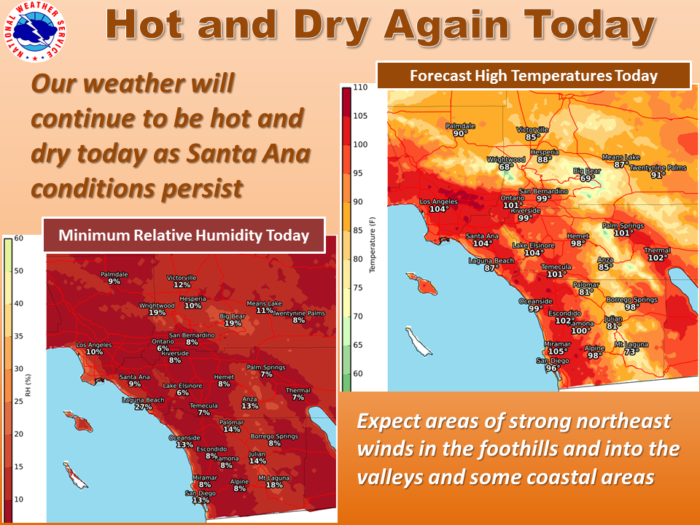 An Excessive Heat Warning is in place from Santa Clarita to San Diego and points south. Many locations, including Los Angeles, could break records later today. This heat is accompanied by strong Santa Ana winds which has led to a Red Flag Warning for parts of coastal south California. Winds could gust in some spots as high as 50 mph. 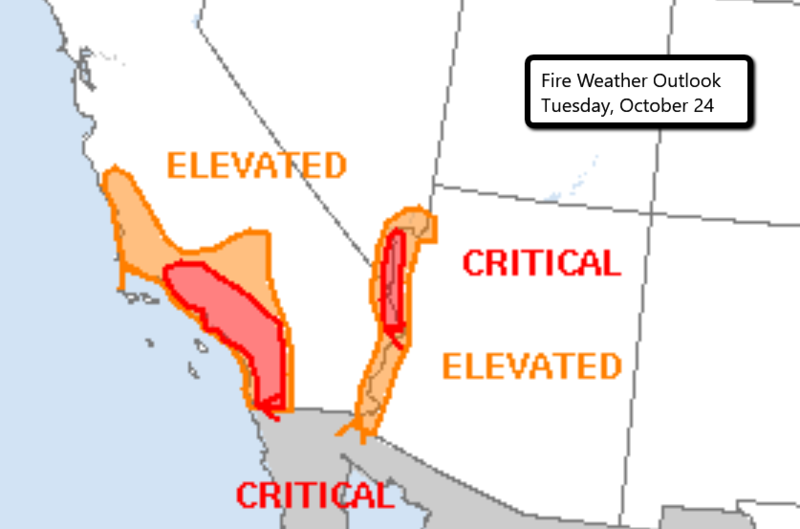 The hot temperatures, strong winds, and low relative humidity are all contributing to a critical fire risk today. Any fires that do start will spread very quickly. Outdoor burning is not advised today!